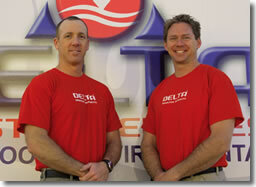 If you are looking for information on the Delta Disaster Services franchise business opportunity, Delta Disaster Service franchises or Delta Disaster Services franchising, then you have come to the right place. First-Hand Experience Means a First-Class Opportunity! The founder of the Delta Disaster Services™ concept, Michael Mastous, has decades of experience in the disaster mitigation, insurance/claims, and franchising industries. He developed the Delta Disaster Services™ prototype and built his team with the goal in mind to ultimately expand via franchising. 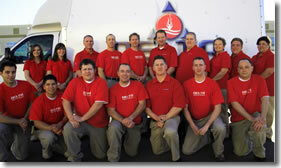 Delta Disaster Services™ occupies a unique market niche within the huge disaster servicesindustry. We provide clients with complete and total restoration solutions and have been listed as one of the Top 500 Remodelers in the nation! We continue to develop and operate our very own disaster mitigation and reconstruction business prototype as a working model for our franchise program. We know how to handle jobs from start to finish, how to negotiate with insurance companies and have the systems in place to train our franchisees to do the same. We are confident that Delta Disaster Services™ has a clear understanding of how franchising works, what business owners need and expect, and how to deliver on our promises. Taking your experiences and skills, and combining them with our industry contacts, our time-tested business model, our exacting standards for quality and efficiency, and our state-of the-art technologies, is the foundation for building a strong network of disaster services businesses that is unrivaled in the industry. Location ~ Instruction with site location and any necessary build-out. Training ~ Comprehensive, hands-on, real-time training on actual job sites at our one-of-a-kind corporate disaster services prototype location. Onsite Help ~ Additional onsite start-up training and periodic field visits from a corporate representative. Documentation ~ A copy of our complete, confidential operations manual. Technology ~ Access to our exclusive Delta Management Software (DMS), designed to automate key project steps, use of specialized estimating software, and top-of-the-line on-the-job testing and cleaning equipment. Promotion ~ Guidance on developing your territory-specific marketing, advertising, and networking plans. Inventory ~ Advice on ordering initial equipment and ongoing supplies. Up to three weeks of initial training at our corporate location! Your lead technician and Marketing Representative will also attend specialized corporate-based training. You will be able to train within an actual operating business, with hands-on access to real jobs at all times. You will also receive additional onsite help at your own location from a corporate representative. In addition, you will have access to all Delta Disaster Services™ trademarks, our exclusive operational systems and marketing materials. A qualified franchise prospect will typically hold a General Contractor's license and own and operate a successful construction or remodeling company. Management, relationship-building, sales and customer-interaction skills are also very important. But no matter your particular skills or background, we will provide the tools and training you need to run your own Delta Disaster Services™ business. We do, of course, also expect that you have the right amount of capital to invest in the franchise. When you join the Delta Disaster Services™ franchise program, you immediately benefit from our direct and extensive industry experience, the tools and support programs we've developed, and the reputation for quality that we've earned. Bring your skills to the table and become a part of our recognized concept, in a huge market!